Hi everyone, Happy April Fool's Day! Did any of you get caught in a trick or joke yet today? I haven't yet, lol. Doesn't mean I won't, I usually do. 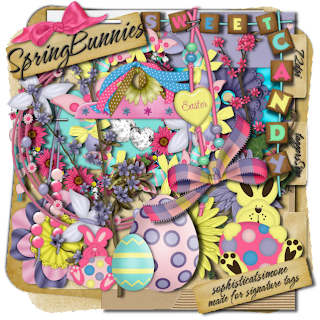 Ok here's a new freebie taggers sized scrap kit, called Spring Bunnies. 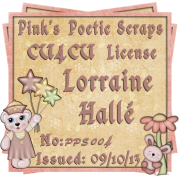 Lot's of pastels and fun stuff in it. Hope you enjoy and would love to get some feedback. 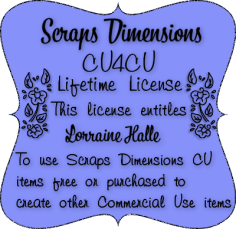 Let me know if you have a tut up using it, I'll add your link here. Hugs from me, have a great day.